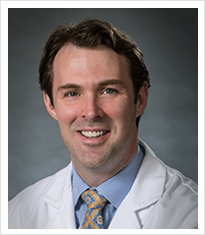 Dr. Murray is an EXPERT in minimally invasive spine surgery. Your spine consists of a spinal cord supported by a series of interlocking bones called vertebrae. The cervical spine is the upper part of the spine situated in the neck region. It has seven vertebrae, separated and cushioned by spongy inter-vertebral discs. The vertebrae and discs may get damaged by injury, disease or wear-and-tear, compromising the cervical spine. Cervical spine fusion is a surgery performed to fuse weak cervical vertebrae with adjacent vertebrae to provide stability and prevent injury to the spinal cord. What are the indications of cervical spine fusion? A cervical spine fusion may be indicated to stabilise injuries and prevent fracture and spinal cord damage, and to treat misalignment of the vertebrae, herniated discs, arthritis, tumour, deformities and infection. Different techniques may be used to fuse cervical vertebrae. The surgery is performed under general anaesthesia. An incision may be made on the front or back of your neck, and muscles and tissues separated to expose the damaged vertebrae. The entire vertebrae or the spinal disc may be removed and the adjacent bones fused. Your surgeon may take bone graft from another part of your body or use an artificial bone material and place it in between the vertebrae to form a bridge and stimulate new bone growth. The vertebrae may be stabilized by metal implants or plates and screws while new bone grows. You may experience slight stiffness of the neck as a result of cervical fusion, but it doesn’t compromise the flexibility of the neck. As with all surgical procedures, cervical spinal fusion may be associated with certain risks such as graft rejection, failure to fuse, nerve injury, bleeding and infection. Overall, however, the procedure has good results and can often treat pain, prevent paralysis and provide stability to the neck.